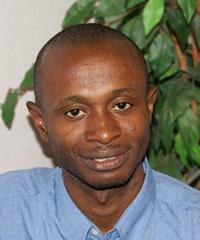 Philemon is an information studies graduate and serves as administrative director for the organisation. He ensures a full administrative service is provided for the smooth running of the Lifeline Nehemiah Projects. When he was 13 years old the rebels captured Philemon after his home was attacked. He acted as a spy for three years– sourcing food and other supplies for rebel soldiers. When he was 16 he was then recaptured by the ECOMOG forces that then set about extracting information from him. Upon hearing of this Richard Cole immediately set about negotiating the release of Philemon into his care at the Nehemiah home. Philemon has served as the Dean of Boys in the home, taught in the Lifeline Nehemiah Junior Secondary School, and previously served as principal.